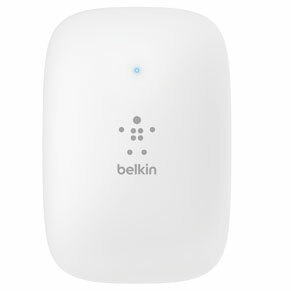 Boost your Wi-Fi coverage with the Belkin AC750 Wireless-AC Range Extender. 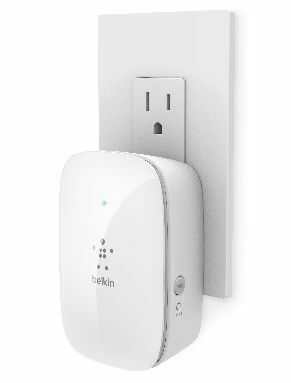 This range extender expands Wi-Fi coverage to up to 6,500 square feet, boosting Wi-Fi in hard-to-reach areas of your home and eliminating wireless dead zones. 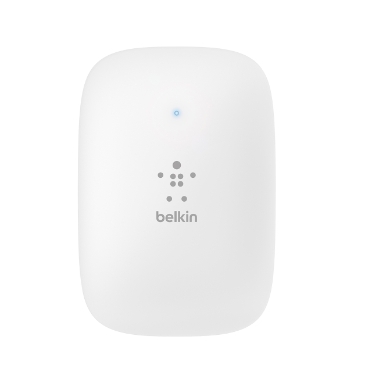 The high-powered internal antenna helps maximize signal strength and coverage, so you can enjoy a stronger Wi-Fi signal in every room of your house--and even your backyard. Thanks to quick data transfer speeds of up to N300 + AC433 Mbps*, the AC750 range extender offers plenty of speed for high-bandwidth activities such as HD video streaming and online gaming providing greatly improved coverage and speeds up to 1.4x faster than traditional N. The range extender can also focus the Wi-Fi signal directly to your connected devices for optimal performance, thanks to Beamforming Technology. With the AC750 range extender, you’ll always have enough bandwidth for your task--even when multiple devices are connected. 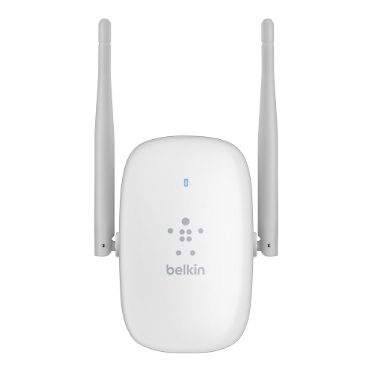 It features two dedicated Wi-Fi bands: a 5 GHz band for video streaming, gaming, and ultra-fast media sharing, and a 2.4 GHz band that’s ideal for activities such as emailing, web surfing, and wireless printing. 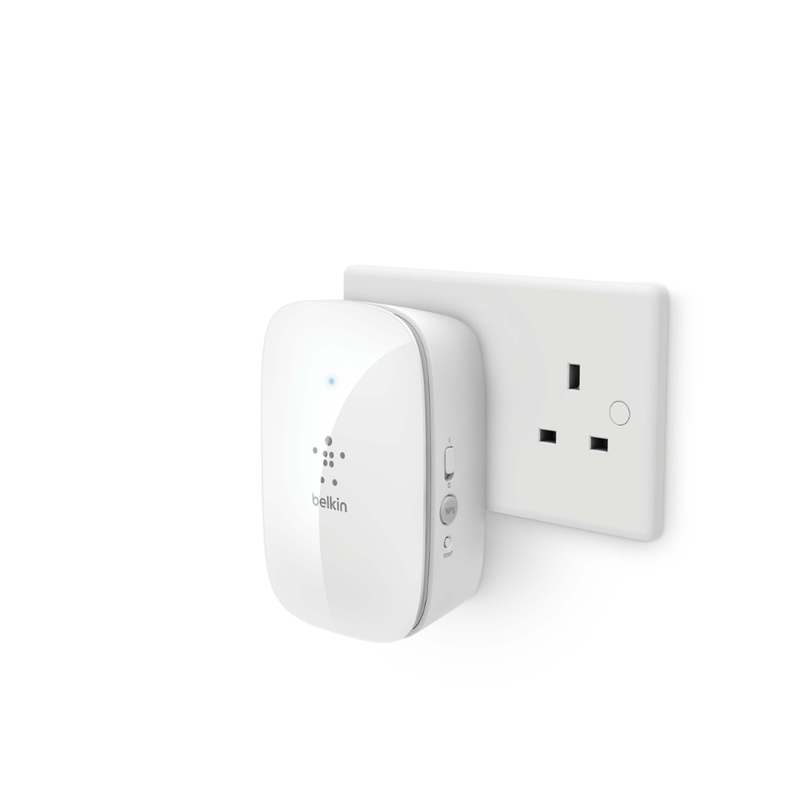 The AC750 range extender is designed for a painless, hassle-free installation, with no CD required. With Auto FW upgrade feature, no additional maintenance is needed after you’ve paired the range extender with your router: simply set it and forget it. Find the optimal location for the range extender using PerfectPoint Locator Technology. 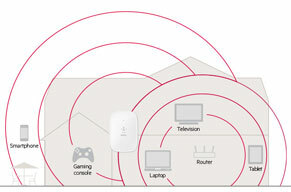 If placed too far from an existing router, a range extender may not expand Wi-Fi or Wi-Fi may be spotty. 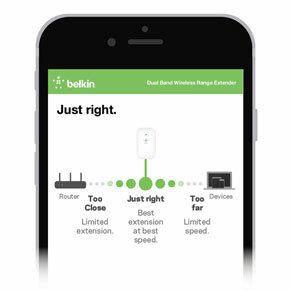 PefectPoint Locator helps ensure your Belkin range extender is in the right spot. 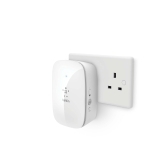 Featuring a compact design and small footprint, the range extender plugs into any electrical outlet without blocking other sockets. And thanks to its unobtrusive LED lights, it keeps a low profile in the dark. 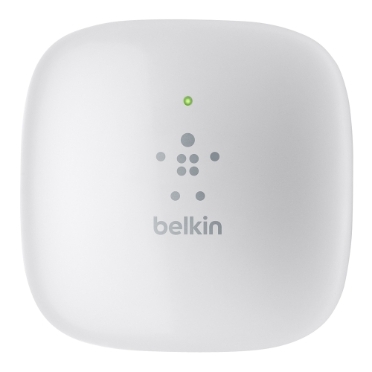 The AC750 range extender works with all Wi-Fi routers and gateways. 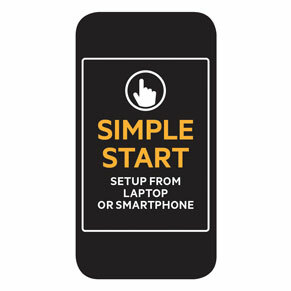 It is also backward compatible with N and G technology and works seamlessly with older computers and mobile devices. 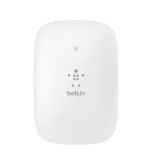 *Up to 1.4x faster physical data rate when compared to 802.11n Wi-Fi routers using two antennas to transmit and receive data. Actual speeds will vary depending on a number of factors. In order to achieve the best performance, router must be used with a compatible wireless device.